Bakewell is a working town in the beautiful Derbyshire Peak District with an economy based mainly around farming and income from visitors. It's an attractive, albeit touristy place full of cafes and gift shops. I visited on a Saturday and the streets were filled with day-trippers from Manchester, standing outside eating fish and chips and sandwiches from polystyrene trays. There's a pedestrianised area, re-developed at some point, consisting of small stone houses converted into shops. The first Bakewell Tart shop I came accross, The Bakewell Pudding Parlour, sells Bakewell Puddings as well as Bakewell Tarts. Jade, who works here, kindly tells me that a Bakewell Pudding consists of a basket like shell of flaky pastry, a layer of jam and a filling of almond and egg mix. A tart, on the other hand, is a flatter short-crust pastry case, followed by a layer of jam with almond sponge and a scattering of sliced almonds on top (you can buy them plain or with icing). Now, I have to say that I'm a big kid when it comes to things like Bakewell Tarts from Bakewell, and I love food, so this is the ideal place for me. 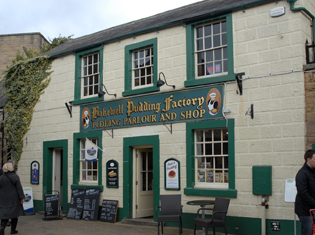 Not only this, but the Bakewell Pudding Parlour won an award for the Best Tasting Bakewell Tart in 2010. Their award winning tart was the same weight as a Renault Clio and had to be transported out of the bakery in two separate sections on a trolley - and only just fitted through the double doors. Apparently there was icing all over the floor at midnight the night before the competition, and they had to get up at 6.00 am to finish it, with a camera crew in the way. How did they bake it? How big is the oven? Jade speaks of the 'best and heaviest tart' with a smile on her face. Emma, who also works there was involved in the preparation of this leviathan tart as-well, and I sense an element of competition with the other Bakewell Tart shops but don't like to press the issue. It might be worth pausing here to consider the history of this famous tart which to some extent is shrouded in mystery. Brilliantly, the accidental inventor of the Bakewell Tart was called Ann Summers. The story goes something like this. A Mrs Greaves who owned a coaching inn, had been making Bakewell Puddings from the beginning of the 19th century. She instructed Ann Summers, then cook at the inn on how to make them, but she somehow got it wrong and created the Bakewell Tart. They proved so popular that the tart and recipe (which varies depending on who you talk to) are now famous world-wide. My next stop on the tart tour was The Bakewell Tart Shop and Coffee House. Zoe, the owner, provides some more information on the history of the recipe, which serves to deepen the mystery further. If the history books say that there was an original recipe for the Bakewell Pudding, and this accidentally led to the tart - then where is the original recipe for the pudding? So where and when did the pudding arrive on the scene? Zoe believes that the tart came before the pudding and that over the years the pudding came in somewhere - but where? She still thinks that the tart came first and perhaps the pudding came from someone saying 'what's for pudding?' What is certain however, is that short-crust pastry is always used for tarts, and puff pastry for puddings. One distinct difference here is that the Bakewell Tarts are made with a filling of egg and ground almonds which is apparently the original recipe - not an almond sponge. 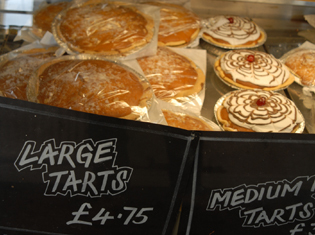 The Bakewell Tart Shop posts tarts to customers all over the world - any size - and these are particularly popular with ex-pats. 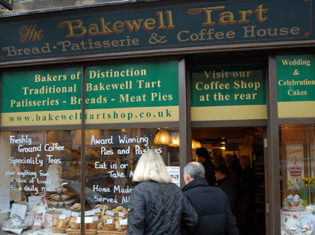 There are two other Bakewell Tart shops in Bakewell which it would be unfair not to mention - The Old Original Bakewell Pudding Shop and Bloomers (no website). 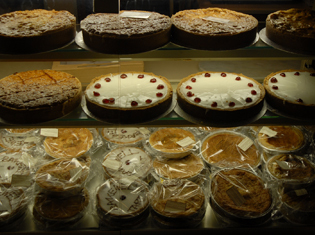 I sampled a tart from each shop and although I have a favourite I am not going to say which it is, I'll let you decide for yourself. The Derwent Valley Heritage Way - A waymarked 55 mile linear walk along the Derwent Valley from Ladyblower in the north to Shardlow in the south, passing through Chatsworth and the Derwent Valley Mills World Heritage Site. The route is marked on the following Ordnance Survey maps: Explorer 1 The Peak District Dark Peak; 24 The Peak District White Peak; 259 Derby, 260 Nottingham. Bakewell is situated in the heart of the Derbyshire Peak District with the cities of Derby and Nottingham to the south and south east, Sheffield to the north east and Macclesfield and the Manchester conurbation to the west and north west. 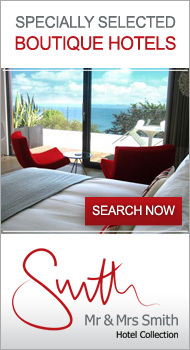 Please visit the top10ten Travel Pages for more information on planning an exact route by road or rail.